Museum Tours - Berlin Private Tours. 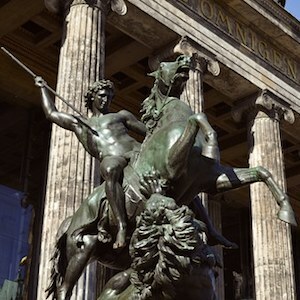 Private guides for museum tours of Berlin. Berlin’s museums boast some of the most remarkable collections of Europe. From ancient artifacts to amazing art works or a more historic focus, there is something for everyone in Berlin. But it can be overwhelming navigating extensive collections and multiple locations on your own. We work with specialist guides who are experts in their fields and know their institutions inside out. Whether you want to delve into Ancient Egypt in Chipperfields amazing New Museum or explore the voids left behind by the Holocaust at Daniel Liebskind’s Jewish Museum, marvel at Rembrandt in the Gemäldergallerie or puzzle over Picasso at the Berggruen or walk through the original Ishtar Gates at the world reknowned Pergamon museum, we can arrange it all. Let us know your interests and we’ll get back to you with what’s possible.